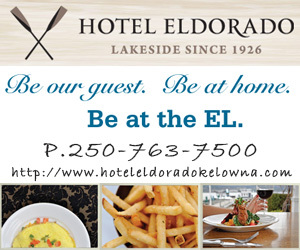 We like to think of Kelowna and our Okanagan Lake as a little piece of heaven. What is more beautiful than sitting by the lake in the evening enjoying a wonderful sunset off the water? What is better than frolicking in water on a hot sun filled day, or laying back on the beach reading a great book? Camping by the lake waking up to breakfast while the sun comes up over the waters horizon. The peace and calm from a quiet summers evening or just a whole bunch of fun playing beach volleyball with all your friends and family. We have many fabulous parks that offer barbeque sites, picnic areas, change rooms and snack facilities, boat launches that will allow you to spend the whole day with family and friends making new and wonderful memories to share. This is one of the things that the kids will remember as a special time - everyone loves the beach. For those who love the water and want to participate in some of the various water sports you will find it all available. Parasailing, boat & jet ski rentals, water skiing, boogie boarding, tubing it’s all there just waiting for you to enjoy. Quite possible the most popular beach in the Okanagan. Gyro beach is located along Lakeshore Dr between downtown Kelowna and the Mission. Facilities: 2 Volleyball courts, Playground, Picnic & Washroom facilities, Rental shops and snack venues. 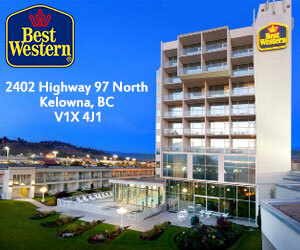 Downtown Kelowna ~ across from some of the hottest restaurants and shops in the Okanagan. Home of the iconic sails monument & Ogopogo lake monster statue. Facilities: Volleyball courts, playground, skate park, children’s waterpark, washrooms, snack venues. The perfect combination of sun and shade. Enjoy a picnic on the copious amounts of grass covered park or sunbath on the beautiful beach for a little extra heat. Facilities: Tennis courts, Playground, Picnic tables & Washroom facilities. 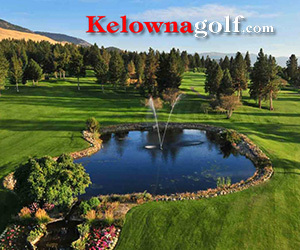 Popular amongst Kelowna's wind & kite surfing crowds. Rotary beach is located on Lakeshore Rd just as your heading into the Okanagan Mission. Facilities: Playgrounds, change rooms, Washrooms, picnic tables, great beach for wind surfing. On the outskirts of the busy city located behind the Kelowna General Hospital. Large grassy areas with plenty of shaded areas to rest and relax. Facilities: Picnic tables & areas, washrooms, children’s playground, designated swimming areas. Located at the base of Knox Mountain Park and comes equipped with a boat launch & tennis courts. Limited swimming due to poor water quality. 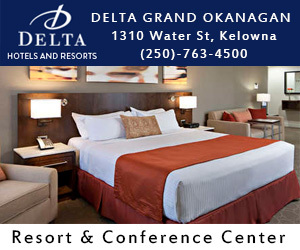 Facilities: Tennis courts, children’s playground, Picnic & Washroom facilities, large grassy areas. One of the nicest beachfronts in all of Kelowna. Amazing views & beautifully landscaped gardens wrap around Okanagan lake down to the city center with lots of fun to be had. Facilities: Boat launch, scenic boardwalk, Picnic & Washroom facilities, Rental shops and snack venues. Boat, Seadoo & equipment rentals. Boat sales, part & Servicing. Tours & Lessons Driver & Toys. Guided jet boat tours of the Okanagan. Okanagan lake house boat rentals. Complete watersport rentals - West Kel. Sailboat cruises on Okanagan Lake. Knee boards, paddle boards, kayak rentals. Marina, fuel, boat & equipment rentals. A sprinkle of baby powder on your skin will prevent sand from clinging. Pack a spray bottle with a little vinegar to take the sting out of burn or bite.